Ms. Anderson is Vice President for International Programs at the National Board of Medical Examiners in the USA, serves on the editorial board of Academic Medicine, and is editor of the “Really Good Stuff” collection in the journal Medical Teacher. She describes her work with the NBME and the creation of a certification program for “health coaches” in China, and considers likely future developments in medical education, based on her experience editing “Really Good Stuff”. Dr. Landy, co-founder of Figure 1, the image-sharing social network for doctors, talks about its creation and shares his thoughts on the growing role of social media in the professional activities of health professionals. 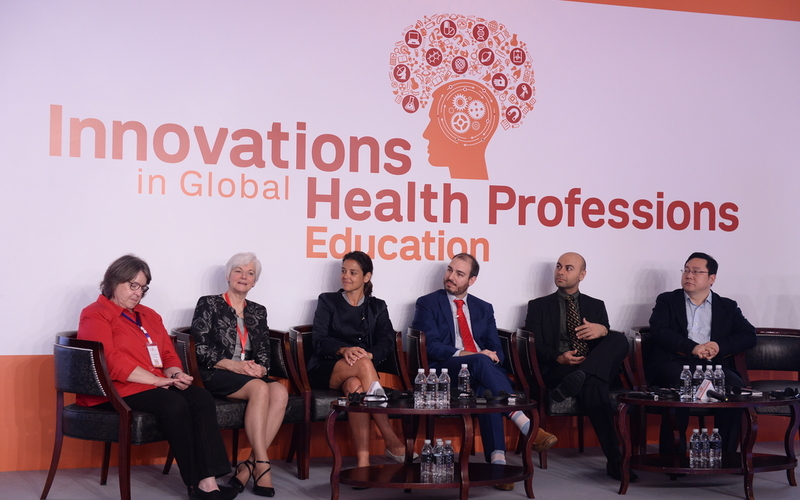 Dr. Landy also discusses how health professionals can make the most of their innovative ideas. You can view earlier podcasts from IGHPE Shanghai 2017 here.